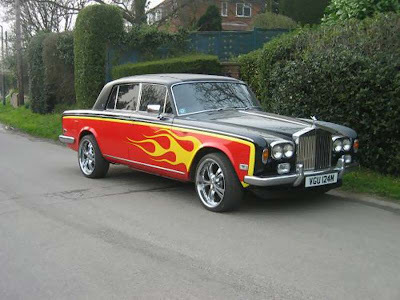 Now these cars presented generally are not to the same calibre of personalisation, bespoke coachwork, or individualism associated with a Rolls Royce or Bentley car. 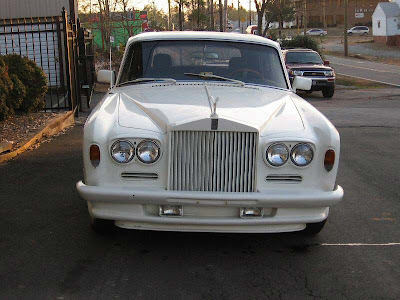 I am tossing up where to say they have more or less, as evidently much work has been conducted on these automobiles. 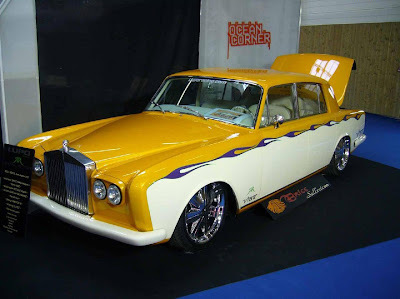 How about I fence sit and just say the work is to a different calibre, different to that of standard coachbuilders. 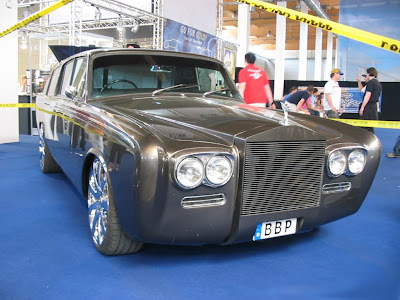 Previously a Bentley Turbo R went under the knife here, so now lets take a look at some Shadows that did not come out of Mulliner Park Ward coachworks. Now for one that has a serious case of snow blindness as did this Bentley Turbo R before. 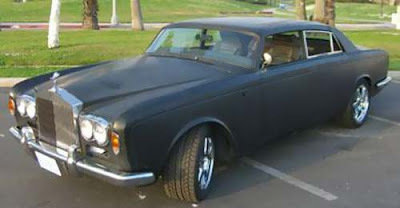 An other chop top, but this time a Corniche. 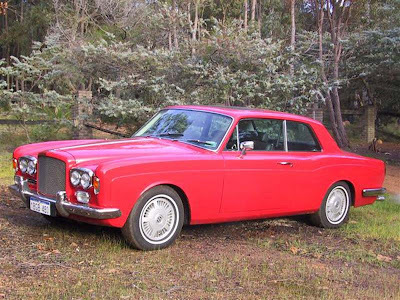 This car actual did spend some time at Mulliner, before additional changed were made. 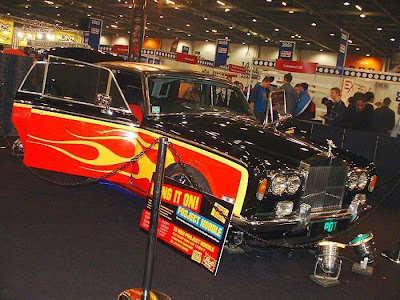 Some serious wheel arches. Are those 22" wheels on a Shadow? 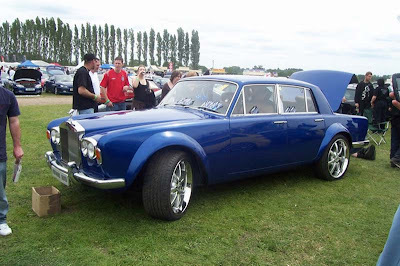 Now for a Bentley Corniche. 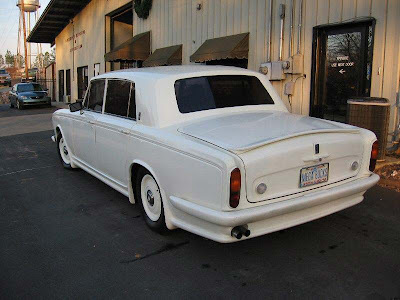 Well this car actually started out as a Rolls Royce, but was changed to a Bentley. 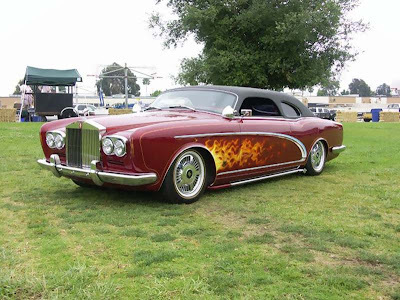 Probably not a Hot Rod, but still, it has a mesh grill that did not come with the Bentley at the time, and it looks cool. Similar to the new Brooklands. Slightly more subtle, the colour coded bumpers actually look good. Now for more of a surprise. 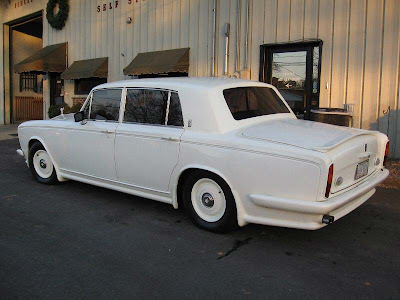 No bumpers and horizontal vains like the very early cars. Its interesting. 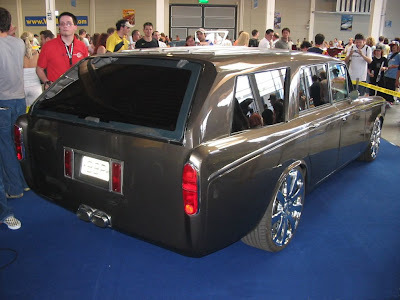 The fact that it is a station wagon is even cooler. 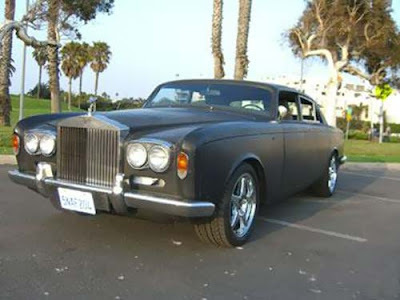 I will add to this gallery as I come across Rolls Royce and Bentley Hot Rods. Keep sending in photos!